The housing market is moving in the right direction but times are still tough. A stronger-than-expected uptick in housing starts confirms that the housing market has bottomed out after its steepest slide since the Great Depression. But it’s going to have to do better than that if the economy is to have a sustainable recovery. Data reported Wednesday show the market is clearly moving in the right direction: Housing starts posted solid gains in January. And with prices down considerably since the market bubble burst in 2006, the "affordability" of homes has improved substantially. But housing production, at under 600,000 units a year, is still far below the recent peak of more than 2 million at the height of the bubble just four years ago. Meanwhile, millions of homeowners face foreclosure, adding to the enormous supply of unsold homes on the market at distressed prices. So far government and the lending industry efforts to head off foreclosures have focused on trying to make existing mortgages more affordable by lowering payments and stretching out the payoff date. But the plan just isn’t working. On Thursday, the Treasury is expected to release the latest monthly figures for its Making Home Affordable program. As of last month, of the millions of homeowners who were supposed to get help, only 66,000 had gotten permanent relief. As more homeowners lose their jobs, fewer qualify for a loan modification at any level. And so far few lenders have budged on cutting the amount of principal owed. “The approach right now is we're kicking the can down the road,” said Daniel Mudd, former CEO of mortgage giant Fannie Mae, which was taken over by the government in 2008. It’s not clear whether foreclosures have yet peaked; some forecasters expect them to increase again this year. 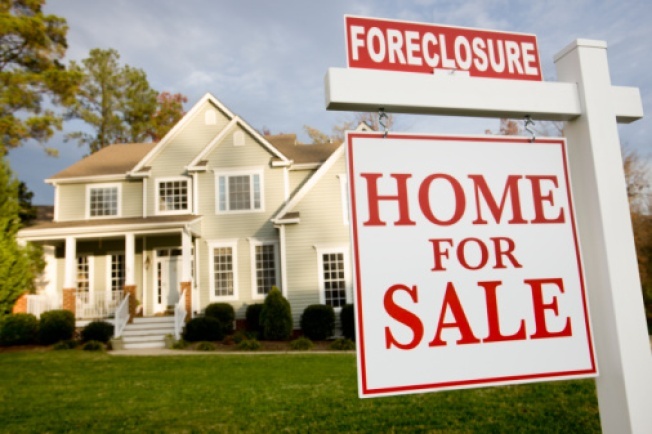 Some lenders fear that when a series of foreclosure “moratoriums” expire in the next few months, a backlog of foreclosures may hit the market at once, sending prices lower again, and putting more homeowners under water. Housing analysts also point to a backlog of so-called “pay option” adjustable-rate mortgages that are due to reset later this year and next to higher payments. Those resets will add further pressure to financially stressed homeowners trying to keep up. At least some of the credit for the recent housing recovery goes to government initiatives to support the market, including a homebuyer tax credit and a Federal Reserve program to hold down mortgage rates lower though the purchase $1.25 trillion worth of mortgage-backed bonds. After home sales perked up last fall as people went shopping in time to beat the first deadline for the tax, Congress extended it through this spring. But the credit may have just moved sales up that would have happened anyway. .
“As we get past the expiration of the tax credit and start to look into the summer, things can change quite a bit if some of these government programs are pulled back,” said Paul Puryear, a housing analyst at Raymond James. “We don't think it stops growth, but it could keep a little bit of a lid on it,” she said. Some banks are trying to dampen another wave of foreclosures by moving more aggressively with so-called “short” sales, in which the home buyer sells the home for less than the mortgage amount and the lender forgives the unpaid principal. With one in four homeowners saddled with a bigger mortgage than their home is worth, according to a recent report, short sales may head off even bigger problems for lenders. After years of slogging through a mortgage modification process clogged by multiple logjams, some homeowners are simply walking away from their mortgages. That’s creating even bigger headaches for lenders. Those lower values may help new home buyers, but they continue to hammer the budgets of state and local governments as falling home prices cut deeply into property tax revenues. Until the housing market recovers, state and local budgets will remain under pressure. A full-fledged housing recovery will take more than a resolution of millions of underwater mortgages and the unsold inventory of foreclosed homes. Though the housing industry seems to have found a bottom, it has a long way to go before returning to “normal” levels. No one is expecting a return those boom year levels anytime soon. But without a substantial rebound in home building, the rest of the economy will likely remain stuck in neutral.